Marketing for associations is vital. Today, associations exist for a variety of purposes and in a wide range of sizes, but all of them are continuously addressing the task of growing their membership base. Not only do they gauge their success on the number of members, but associations also place a large importance on increasing attendance at annual conferences. With an effective inbound marketing strategy, and by producing valuable content that prospective members will find interesting and helpful, we can help you grow your membership base without spending the money on traditional advertising that associations don’t have. Inbound marketing can transform your association. Not sure what inbound marketing is? Click here to learn about the advantages of inbound and all of the possibilities it offers. Associations help people collaborate, learn, and network with peers who have common interests in an area of expertise. They are collegial — meaning they give industry professionals an opportunity to expand skills, publish research and talk in industry lingo with people. We can help grow your association. We have developed and designed web sites, crafted and executed inbound marketing strategies, and re-imagined membership management for a number of associations for more than 15 years. We have helped our clients grow their membership bases, and in turn, increased conference attendance numbers. 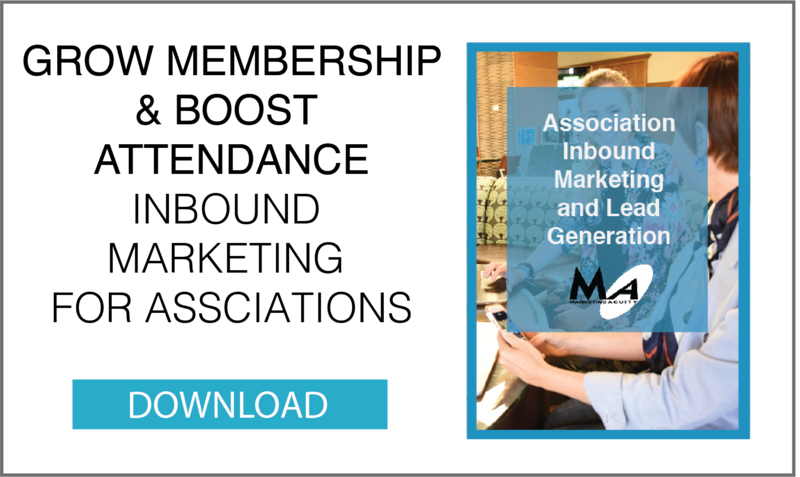 By implementing an effective inbound marketing strategy that focuses on delivering targeted content we can help educate and certify members, delivering even more value for their membership. Don’t forget about marketing for associations- let us help your association reach incredible heights!